This is my horse, Red. I adopted him at the end of October, 2014. He is a Polish Arabian. He was a little girl's show horse for many years. She grew up and lost interest in him. He stood in his stall for two years, waiting, with no one paying attention to him. I am so lucky to have the opportunity to adopt him. Ever since the day that I met him, he has never had another lonely day, and neither have I. He was so beautiful when I met him, but very out of shape, with a sagging top-line and a jiggly neck. No-one took care of his long red mane and it was tangled into knots, so they chopped it off and it stuck up like a rooster. He learned to be a really good trail horse, even though he spent his life in the show ring. We rode with a group of horses last week, on a blustery day as a storm was coming in. There were two very nervous horses with us and Red stayed calm and cool, being a good companion horse for the others. 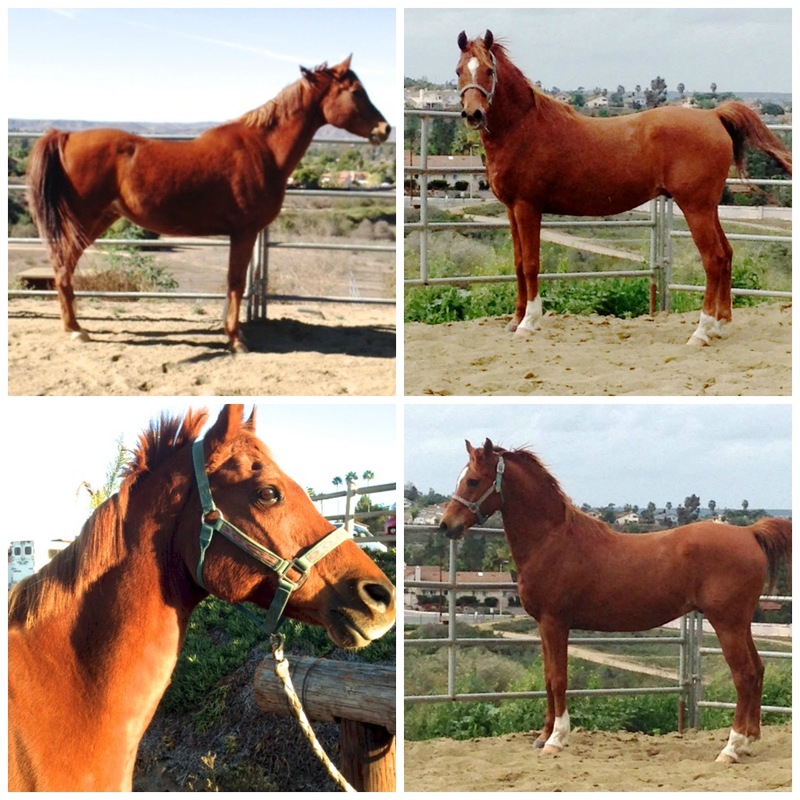 You would never have know that this confident Arabian has only been a trail horse for 4 months. I am so proud of him. He's such a great friend! Here are some before and after photos of him. The two on the left were taken Nov. 1. The two on the right were taken March 1. You can't see his mane in the March photos, but it is twice as long now. It should be beautiful by the end of summer. Isn't he coming along great?